The best place to leave our photo tour of Magic Kingdom is right here with the future. Like so many Disney fans I can't wait to see what is in store with the expansion. Counting down to my next Disney adventure. 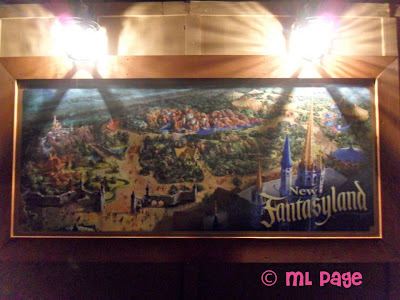 I am hoping we will be able to go down this year and to see the new Fantasyland. So excited about it. My mom can't wait for Beast's Castle to open. She already wants dinner reservations! This will be so nice when it opens! Praying most will be open when we get down there this summer!!! We are saving to go out there in Oct. for my daughter's b-day! CAN'T WAIT!! This Disneyland nut has never been to Disney World. Hoping for 2012! I cannot wait. Magic Kingdom has always been my favorite park and with the Fantasyland Expansion ... I'll never want to leave the park! We are huge Beauty & the Beast fans and can't wait for the opening! Can't wait for Beast's castle. love this picture. So much fun stuff coming to look forward too and many reasons to keep visiting WDW. I can't wait! We took the train ride last trip just to get a close-up look at the construction! Can't wait for the new Fantasyland! We are going Feb. 11 and I am *HOPING* the new Dumbo ride opens early!